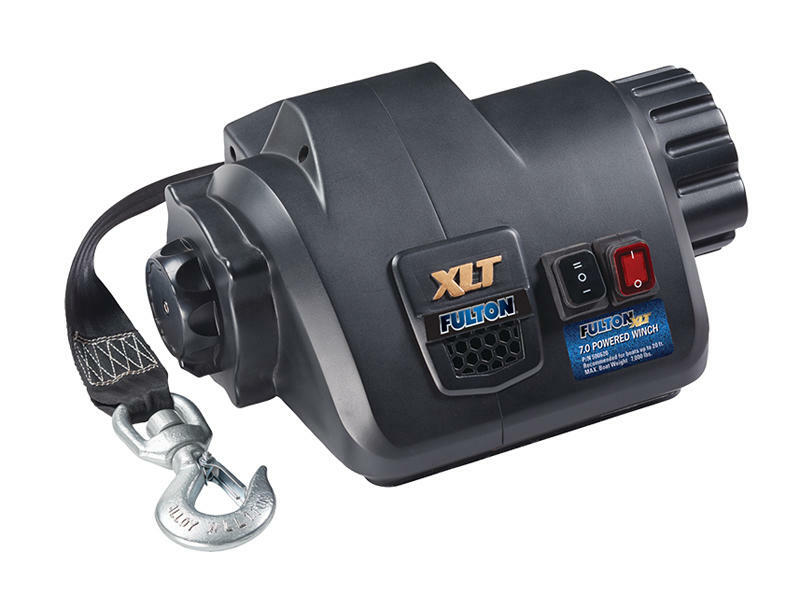 Fulton 500620 XLT Powered Winch, 7,000 lbs. XLT Powered Winch, 7,000 lbs. For boats up to 20 feet and/or a max. boat weight of 7,000 lbs. 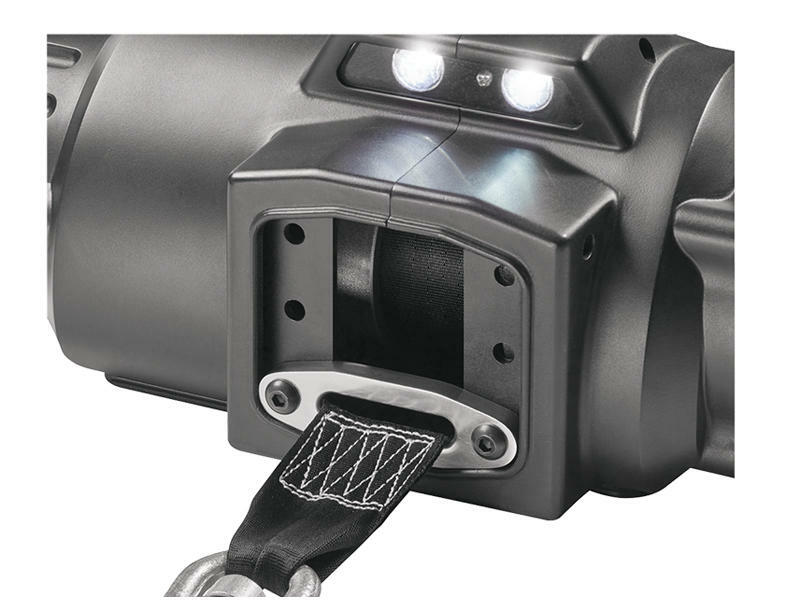 Rugged strap includes swiveling hook to prevent strap twisting. Power in / Power out and free spool and equipped with manual override using standard tools in case of power loss. 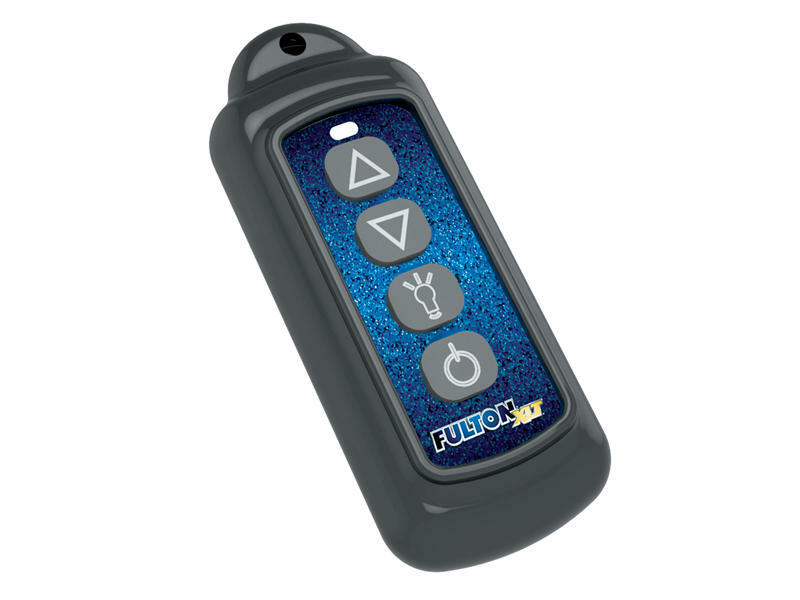 Wireless remote makes things a snap!